When you discover your child has a hearing loss, you have lots of questions. CID’s caring, experienced family center staff will help you navigate the early intervention system so your family can receive services as soon as possible. 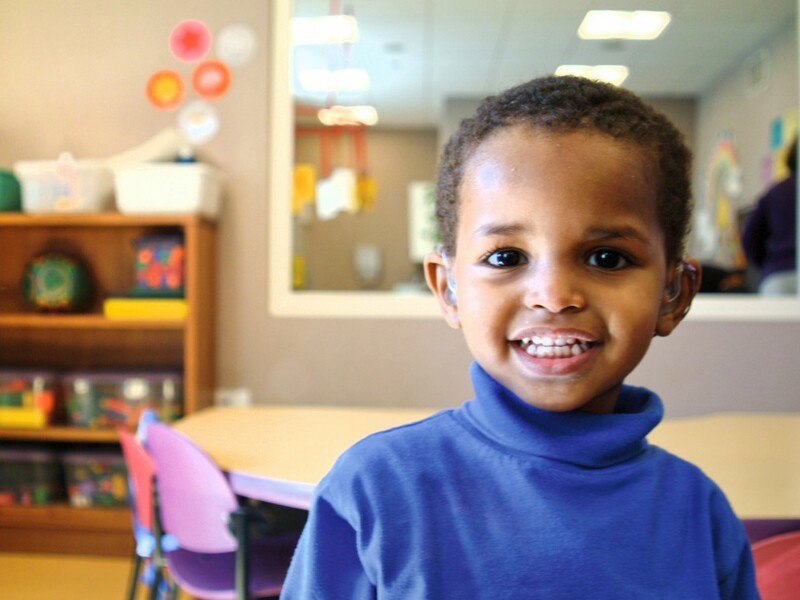 Our parent educators, teachers, individual therapists and audiologists are credentialed providers for First Steps in Missouri and Child and Family Connections in Illinois. 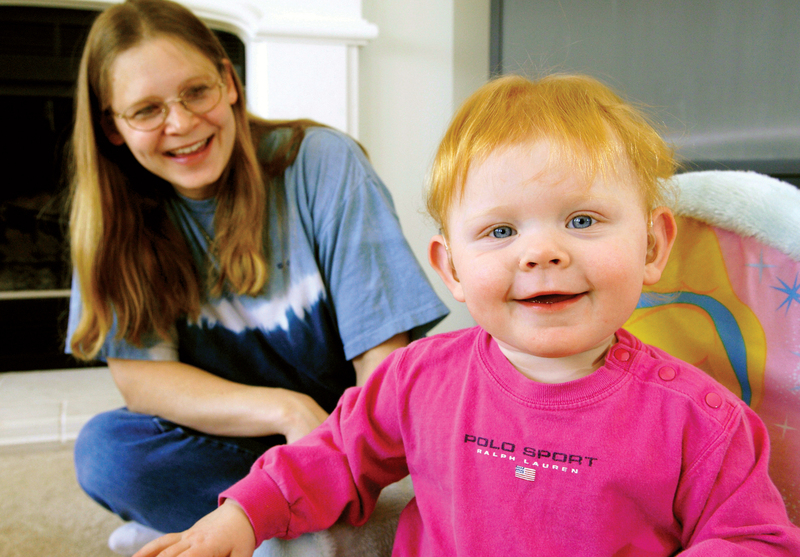 We serve families and their children birth to age 3. Our expert pediatric audiologists will work closely with you to ensure your child receives appropriate amplification as soon as possible. 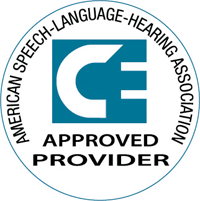 We provide loaner hearing aids if needed. In family sessions, we’ll help you understand your child’s hearing loss and listening devices. Our goal is to coach you and your family to help your child develop listening and spoken language within the context of your daily life. We offer flexible scheduling, home visits, teleintervention sessions, family support groups and a toddler class for some of our 2-year-olds. Every day is precious learning time for a baby with a hearing loss. Please call us to talk about your child. Or use the GET STARTED link and we will contact you. We invite you and your family to visit CID and meet our staff and students. 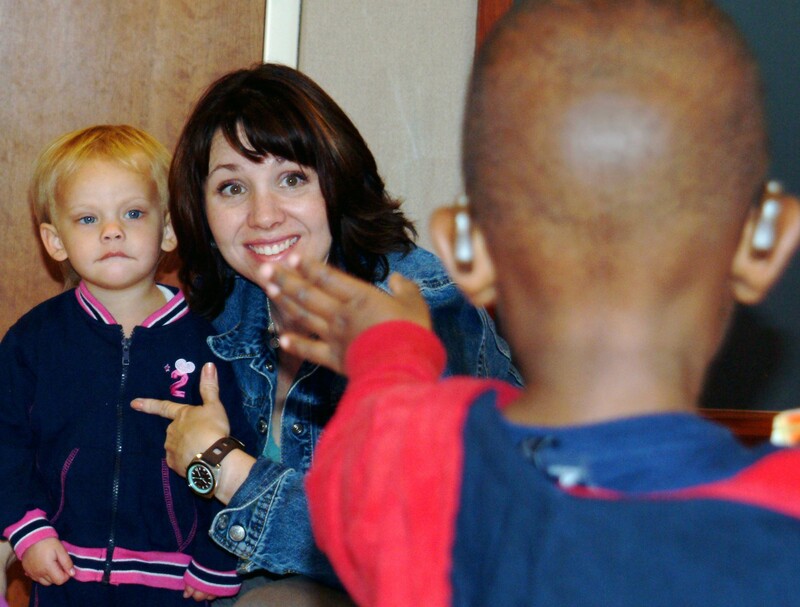 See for yourself that developing listening and spoken language is both possible and rewarding. CID’s Joanne Parrish Knight Family Center provides help at a crucial time for babies and their families. The teachers greet the students and encourage them to hang up their jackets and backpacks. While the children do puzzles and matching or sorting activities, the teachers check their listening devices. The teachers bring stories to life with props and toys to foster the love of books! The stories reinforce concepts, vocabulary and language related to the theme. CID’s gym teacher leads the children in games, songs and turn-taking while practicing balance, kicking, running, jumping, swinging and more. The children sing songs and say goodbye to their friends. 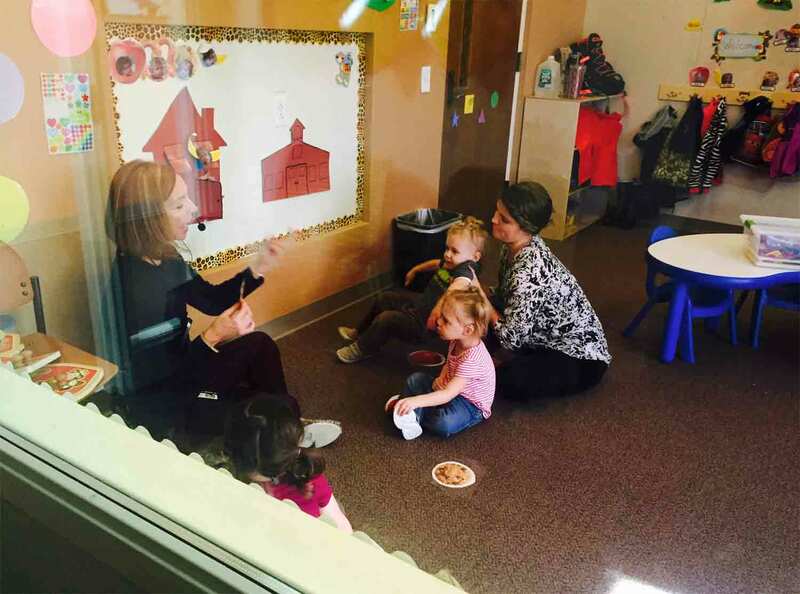 In the morning, each child participates in an individual session focused on his or her specific listening, language, vocabulary and speech goals. The therapists closely monitor the child’s listening skills and partner with our audiologists to ensure optimal hearing at all times. Individual therapy activities are both developmentally appropriate and tailored to each child’s present levels and goals. The therapists work with our teachers to help ensure carryover of skills to the classroom. It’s important for parents and caregivers to learn specific strategies to promote listening and language skills at home, through play and daily routines. Each classroom and therapy room has an observation room. We encourage parents to observe their child in both settings. The teachers send home newsletters about themes and related activities. The therapists send daily notes. Our teachers, therapists and parent educators collaborate regularly with caregivers to foster a meaningful link between school and home. 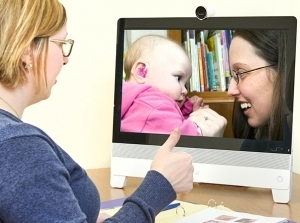 CID offers teleintervention services for families of young children with hearing loss learning to listen and talk. Our experienced educators teach parents and caregivers about hearing loss, listening devices and much more. We use a coaching model to help families gain confidence integrating listening and spoken language techniques into their daily routines. Our goal is to empower parents to continue to improve their children’s skills as a foundation for lifelong learning. Internet access is required. Security procedures are followed to protect confidentiality. For more information, please contact Claire Soete at csoete@cid.edu or 314.977.0175. Kathy Gallagher, MAEd, CED, the CID family center program director, has more than 30 years’ experience in deaf education. She joined CID in 2014 as co-coordinator of the Joanne Parrish Knight Family Center. She became director of the center in 2015. She earned her master’s degree in deaf education/early intervention from Fontbonne University. She also holds a certificate in early childhood special education. She previously taught in Dayton Public School’s Hearing Impaired Program and at St. Joseph Institute for the Deaf. From 2000 through 2014, she was the toddler classroom teacher and a parent educator in St. Joseph’s Early Intervention Program. She has presented at national and international conventions hosted by the Early Hearing Detection and Intervention Association (EHDI) and the Alexander Graham Bell Association for the Deaf and Hard of Hearing. 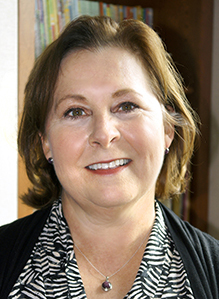 CID’s family center intake coordinator, Claire Soete, MA, ECSE, CED brings more than 33 years of experience as a teacher and parent educator to the challenge of welcoming families and their newly diagnosed babies to CID. Claire has been a CID parent educator since 2006. She has also worked at Desert Voices Oral Learning Program in Phoenix, Arizona and Moog Center for Deaf Education in Chesterfield, Missouri.